Wednesday, June 15th, 2011 | 9:02 am	and filed in Reason, Synthesizers. mØxr is a MaxMSP based application that converts Control Voltages as audio signal to monophonic MIDI note messages. The application must receive two CV signals through audio connections, a Gate CV and a Note CV. While any audio signal can trigger a MIDI note message, mØxr is calibrated specifically for the Note CV values generated by a Thor Polysonic Synthesizer in Propellerhead Reason. Discussions on the propellerhead user forum inspired me to pursue this idea, which began with the MOTU Volta concept of controlling analog hardware synthesizers with software based CV sources routed to a MOTU hardware interface. Experiments in controlling analog hardware from Reason were very successful, so this was the next logical move. I only have a basic understanding of Max, so this is all experimental and will probably sit as one of those never ending works in progress. The connection between Reason+Record and mØxr requires an inter application audio routing extension, such as Cycling74 Soundflower, aggregated with your primary audio interface. CV/Gate data is transmitted from Reason+Record to mØxr through Soundflower, while audio signals to and from the hardware interface pass normally. This allows you to trigger a MIDI hardware synthesizer using Reason CV/Gate signals and track the audio back into Record. As an alternative to soundflower and setting up an aggregate driver, you can also use a purely digital loopback configuration. If your hardware has unused ADAT Lightpipe connections, a digital audio loop from the output to the input can be configured with a short TOSLink cable. (The shorter the better to reduce latency of light). CV/Gate audio data can be routed from Reason+Record to the ADAT lightpipe outputs, and mØxr can receive them from the ADAT lightpipe inputs. While some work is involved in getting mØxr operational, there are some surprisingly gratifying results. In addition to triggering MIDI synths from a sequence in Reason+Record, Control Voltage pattern devices like the Matrix Pattern Sequencer and RPG-8 Monophonic Arpeggiator can also be used to drive hardware. 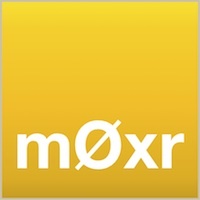 Support for mØxr is minimal because there’s no efficient way to tech a system remotely. The documentation is rough, but I’ve attempted to cover the key issues regarding installation and operation. The CV to MIDI conversion process relies on so many different parts working together, so it’s rather difficult for me to provide support without being there in person. It must be reiterated that mØxr generates a monophonic MIDI stream, so results from polyphonic MIDI sequences are unpredictable. Also, latency varies depending on your driver settings, buffer size, and MIDI configuration. Troubleshooting issues are (somewhat) covered in the documentation.